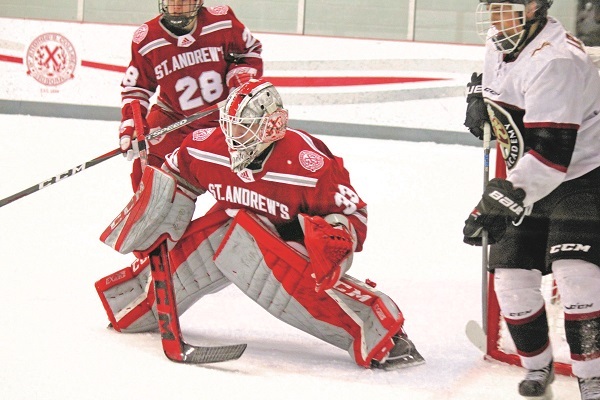 The St. Andrew’s College Saints have returned to the national throne, winning the National Independent School Invitational Championship (NISIC) on home ice on Sunday. Andrew Nembhard was given the opportunity of his lifetime in Friday’s basketball game for his University of Florida Gators. The Aurora Panthers are back in the Provincial Women’s Hockey League postseason. The organization’s senior squad picked up six points over the final seven games of the regular season to squeeze back into the playoffs, after missing out on the big dance this time last year. Lucky number seven. The varsity St. Andrew’s College Saints are at the top of the prep school hockey chain for the seventh time in a row, after sweeping Ridley College in the CISAA championship series in two games. The Ontario Junior Hockey League’s top scorer is turning pro. Joseph Mizzi left the Aurora Tigers organization last week to sign a contract with the ECHL’s Utah Grizzlies, jumping straight from the Junior A level to the professional ranks in an extremely rare feat. Student athletes from across Aurora’s elementary schools took a break from the classroom last Wednesday, instead getting their education on the ice in the annual Aurora Cup hockey tournament.